If you have never curled before, and that includes most people, we have a myriad of opportunities for you. Saturday Morning Breakfast Extravaganza - 2018-19 Dates: Many! Our Saturday Morning Breakfast Extravaganza is a fun way to learn about curling. You will spend about an hour learning the basics, then have breakfast, and then play a game with other new curlers and experienced club members to help you along. Advance registration is required, as we have only twelve non-member slots for each Extravaganza and it is not offered every Saturday (it sometimes gets pre-empted by other club events). Registration opens at 8 pm Wednesday evening ten days before the Saturday we play. Please see the Saturday Morning Breakfast Extravaganza page for more details and to register. 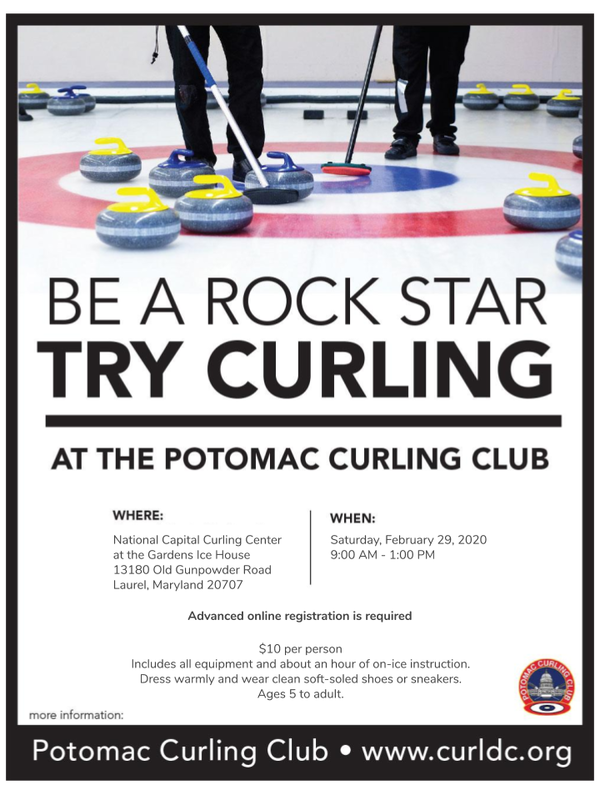 The most serious approach, but still lots of fun, is our “Learn to Curl” program, a three hour training session. We typically hold these programs twice per season, in October and February. The program is designed for people who would like to get more than just a taste of the game. The program focuses on more individualized instruction than a drop in session or Open House. We provide an overview of the sport and detailed instruction lasting about 90 minutes before we divide into teams to play a short game If you would like to start to curl on a regular basis, this is the best place to start. Each session is 3 hours and costs $60 payable by PayPal, credit card or check. Dress warmly and wear clean, soft soled shoes or sneakers. 2018-19 Dates: September 25th, September 29th, October 2nd, & January 12th. For those under aged 21 who would like to try curling, we do offer drop-in opportunities to our Youth programs held on select Sunday afternoons. The program time depends on the curler's age and ability to throw the stone the full length of the ice sheet. Please visit our Youth Program pages (Middle Rockers | Juniors) for more information. 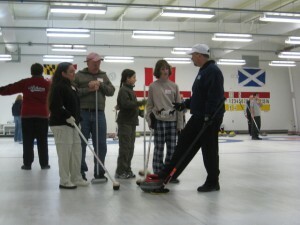 Have a group of 16 or more people who want to try curling? Please learn more about how to rent our club, get personalized instruction, and use of our warm room facilities. After you have given it a try, we hope you’ll want to join. As a brand new curler, you can join for one half of a season for less than you might think. To encourage new curlers, you are entitled to a significant membership discount. Please see our Membership Page for more details.